Hi, my name is Mylissa Buysse-Demeyere, and I am a member of the Church of Jesus Christ of Latter Day Saints. I live in Ghent, which is a city in Belgium. For all of you wondering where that is, it is a small country in the heart of central Europe. I am a happily married mother of four adorable, very active kids, and married to the love of my life. I am a self-employed owner of a small business (well maybe not so small), I love to read and blog about the books I enjoy, I design my own line of jewelry and knitwear, and I am a member of the Church of Jesus Christ of Latter-Day Saints. I was born to a Sri-Lankan mother and Belgian father. That explains my darker complexion. My parents became members of the Mormon (slang word for Latter-Day Saint) church before I was born, so I was raised as a member of this church. My mum is, to this day, a very strong member of the church. My dad however, who passed away when I was 16, was never very strong in his faith for as long as I can remember. Growing up in Belgium my siblings and I were the only kids in my school who were members of the church. When I was 13 my parents split up. I always knew my parents didn’t have the strongest marriage, but that did hit me hard. 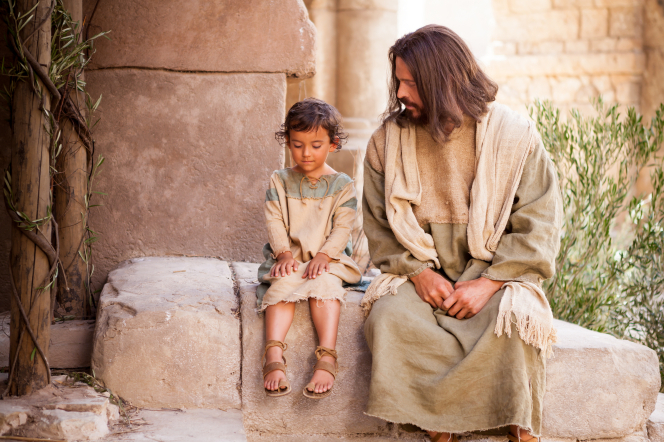 It caused me to question many things in life, and think about all the things my mother had taught me, especially the things about the gospel of Jesus Christ. I kept thinking how could there be a Father in Heaven when my life just sucked so bad at that moment. It took me a while to realize that my Heavenly Father was actually there, and looking out for me, even when it felt like I was in such a horrible situation, and I didn’t know how all would be ok in the end. I remember this one specific moment after my parents split up. I was being a little bit of a stubborn brat. I mean, seriously, as if adolescence isn’t hard enough, I got stuck with the divorced parents card also. So in true teenage drama style, I was being a bit difficult, but eventually someone spoke the right words to me, and I went to pray. I had been doing that my whole life, so nothing new, right? Wrong! I remember that day, that moment so vividly! I was praying for a very unimportant reason, yet my Heavenly Father decided to answer me then and there. I could not deny the distinct answer that came to me. He heard my prayer, and answered me, this snotty, bratty teenager. That moment changed my life. I knew without a doubt that it was God who had heard my prayer, and had answered me. Looking back on my life, I realize that that moment was a turning point. I chose that day to truly put into practice the things I most likely felt to be true, but up until then did not know without a doubt to be true. Knowing that I could pray and truly receive an answer, or read my scriptures, and know that I could find answers to my personal problems, gave my life new meaning. I discovered that the Lord loves me, and that I can feel His love in a very personal way and on a daily basis. My life, as most people’s lives has had many highs, and a few lows. Knowing that I have a Heavenly Father that loves me, and wants me to succeed in life, helps me to power on when life gets tough. When I think of Him sending Jesus Christ His son to die for my sins, so I can be forgiven, and return to Them with my loved ones, that is What Brings Me Joy! As Easter is approaching, I can’t help but ponder the amazing impact That One Man has had on our entire race. He chose so unselfishly to give His life to live and die and live again for us all, so we can be freed from all the pain we face in this world. I am so grateful for that day of answered prayers, for having my mind and heart fully opened to what is true. I know that it all seems so out there, but if you are willing and open to let Him into your life, I promise you, your life can change, as mine was changed. Because of Him, there never has to be pain anymore, there never has to be an end. I love this post and you, Mylissa! Thank you, Taylor for asking her to post! Beautiful testimony, Mylissa. (And I love your name. It’s so unique). Thank you for sharing your faith and inner beauty with the world. Because of Him, we truly can triumph over all and experience much joy in this life. Hooray Mylissa!!! You wrote such a beautiful post!! I’m subscribed to this blog, too, and you can imagine my excitement when I saw your beautiful face!!! I’m so grateful for our friendship and the amazing example you are to me. I’ve been thinking a lot about you this week since I had a writing assignment in one of my classes. I was remembering our experiences in Belgium and how you and your family were so helpful to us!! What amazing memories we have of living there. I’m so grateful for you and Dagmar and the other members of the Gent branch. We love you guys!! Thanks for sharing your wonderful testimony!! Thank you, again, for this beautiful post, Mylissa! I would love to travel to Gent and meet you one day. My parents have been there. They visited because we have ancestors from there.